Sweet and delicious! Warm crisp croissant layers, filled with an almond and frangipane paste and topped with toasted almonds and powdered sugar. Noms! 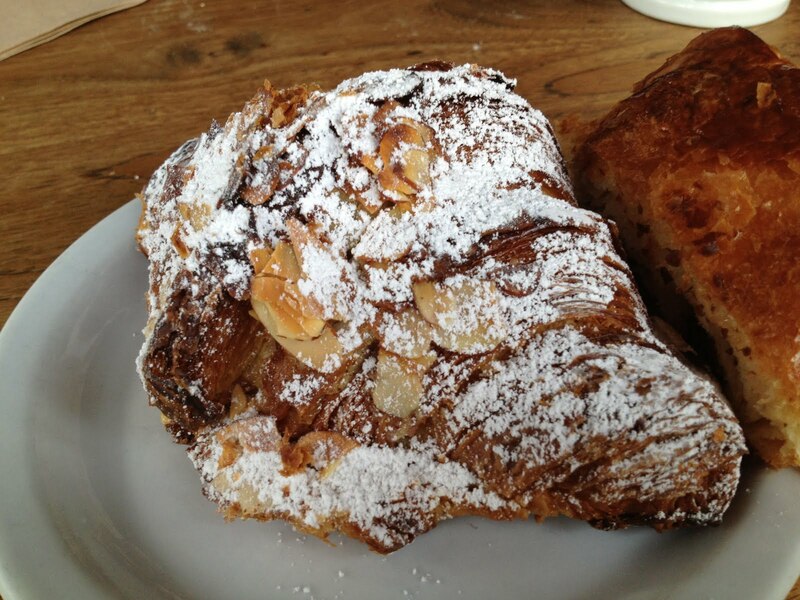 This entry was posted in Bakery, Tartine Bakery and tagged almond, frangipane, pastry, powdered sugar by vicentesf. Bookmark the permalink. You have to experience dum sum at Yank Sing. They have a large dining room and it’s definitely kid friendly. It’s kinda touristy but also popular with locals alike. The food is delicious and it’s dim sum so you can try a variety of things. Brunch is always kid friendly! Try Plow, Zazie, or Zuni Cafe for a more high end experience. Foreign Cinema has never disappointed me. My favorite bakeries are Tartine (this place gets packed), Craftsman & Wolves, and Noe Valley Bakery. There’s so many great restaurants here that I’m sure you’ll have an amazing time!